This wineglass candle is not only easy to throw together in literally 5 minutes, but it gives such an elegant look at the same time. I’ve used this as a centerpiece more than once at my table and every time it looks just as beautiful! 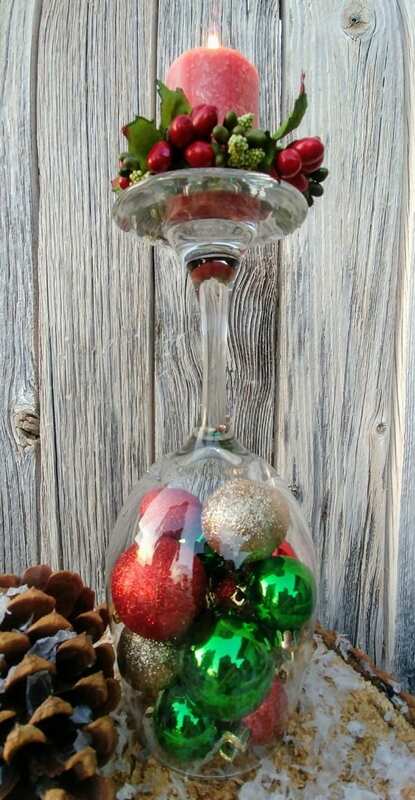 There isn’t much to putting this one together…simply fill the wine glass with Christmas balls and flip it upside down. 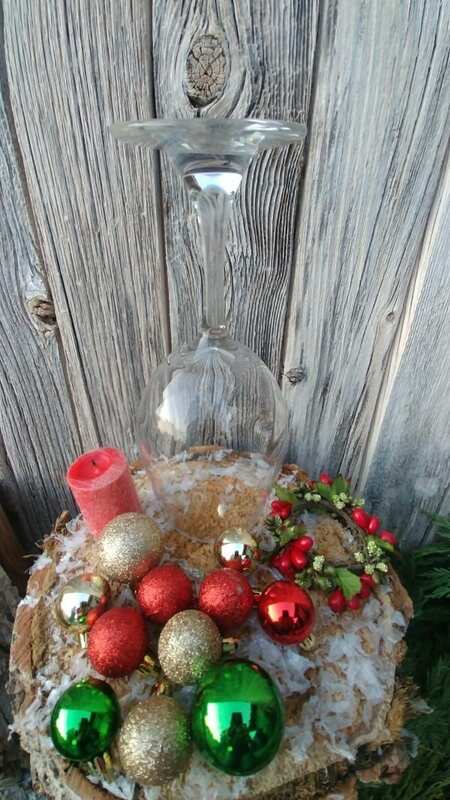 Set your candle on top along with the candle ring and light it all up!